As a beginner sock knitter, just this summer, these strawberry socks were a breeze, using a free easy sock pattern I wanted to share with you. 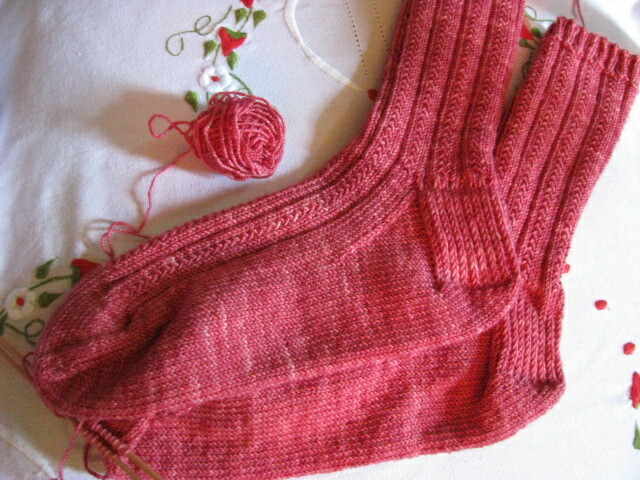 If you are wondering what knitting socks is like, how to turn the heel, graft the toe, and afraid to try, don’t be. This is a great beginner sock pattern that still has enough stitch definition, really doesn’t look like a first attempt at knitting socks, does it? Well, it’s the pattern, not the knitter, for sure. 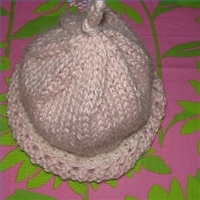 This is a great free baby hat pattern for beginning knitters, it’s quick and easy. Also a terrific free pattern to knit lots of baby hats for charity. With so many charities in need of infant hats: hospital maternity wards, women’s shelters, the homeless shelters, for those of you who do charity knitting, here’s an easy, quick baby hat pattern, it’s free and I’d better get to work myself. Winter’s coming again!